I'm trying to write a C program which listens for key events while running in background and if a specified key is pressed than it should show a message box. But I have no idea how to listen for key events while using the calculator normally since if you're testing if a key is pressed (isKeyPressed) in a loop the calculator freezes. I already tried to forward (sending the key event I got with get_event if its actually a key event), but that didn't worked also. Last edited by the_blaggyS on 16 Apr 2019, 00:26, edited 1 time in total. I use this kind of loop but in the foreground. I haven't tried the same in the background. Maybe taking a look at Levak's nCapture can help you. He waits for a "Ctrl+." to capture screen. While the program is running, interrupts are disabled so no other tasks run. Unfortunately this can't be implemented without any OS specific hooks right now. @nebnm I will have a look at it, hopefully it's open source. @Vogtinator do you know nHide? I thought I could write something similar in aspect of the 'activation'. If you're pressing and it's executing. 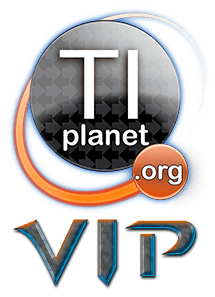 I found the thread https://tiplanet.org/forum/viewtopic.php?f=20&t=18348&hilit=hooks+tutorial where you're helping another user. And you said that the OS's key interrupt handler can be found by printing the PC during reads of the keypad. Maybe you can explain hot to do this? How do I know when it reads the keypad? Or maybe you can redirect to some manuals or documentation where I can read aboout it. I'm really interested in this field and probably can adopt some knowledge of nasm and gdb. I already programmed x86 netwide assembler for unix and also started learning how to use gdb debugger a few years ago. the_blaggyS wrote: I found the thread https://tiplanet.org/forum/viewtopic.php?f=20&t=18348&hilit=hooks+tutorial where you're helping another user. Unfortunately not, this is a very specific topic. Even to get started here you'll need good knowledge of the ARM architecture and some reverse engineering. What you're trying to do it actually not as easy the thread you linked. Message boxes can only be opened while running in the GUI task, so the hook would need to be called from the GUI task itself or a second hook has to do that. Neither x86 nor NASM can help you here - the Nspire uses ARMv5 instructions. Okay, first of all thank you for taking the time. Maybe not that easy as I thought. Probably I have to learn about reverse engineering in general first, but that's not too bad since it's a thing I wanted to dig in and I already bought a book about it, maybe I can just combine both topics. Oh I wasn't knowing that a visual element will make such a difference, the message box was just a kind of proof of concept. Actually I just wanted to write my own nHide which won't set the file browser's root to the file systems root, instead it should set it to a custom directory. For example if I open the file browser with nHide it's showing only a sub folder of my documents. All I meant was that I know a bit of assembler in general, therefore the beginning should be easier. For a Java programmer it's probably also easier to read C code then it is for a non programmer.